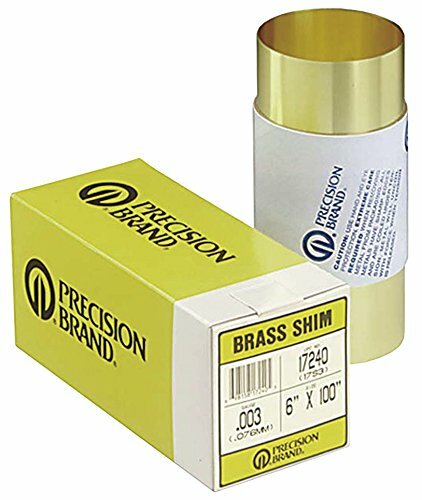 This brass shim stock assortment includes 5 pieces, each measuring 4" x 6". Use for a variety of applications including cylinder head straightening. The 260 brass shim stock with 1/2 hard temper has an unpolished (mill) surface and a standard tolerance, and meets American Society for Testing and Materials International ASTM B19, Society of Automotive Engineers SAE-CA 260, and Federal Specification QQ-B-613 standards. The 260 brass alloy is corrosion resistant and has good formability. It is nonmagnetic. The 1/2 hard temper is softer than 3/4 hard temper for increased formability. 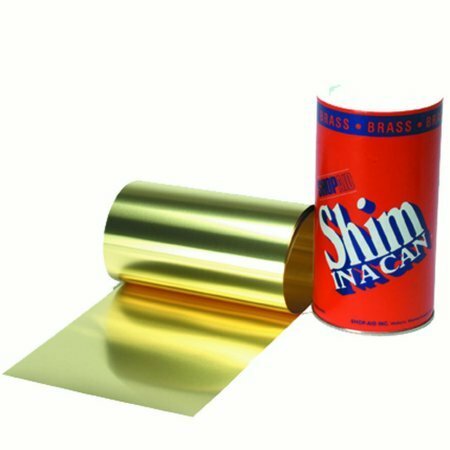 Shim stock is very thin material that can be fabricated into specific shapes. Yield strength is the maximum stress a material can withstand before it will no longer return to its original shape. Corrosion resistance describes the material's ability to prevent deterioration caused by atmosphere, moisture, or other medium. Wear resistance indicates the ability to prevent surface damage caused by contact with other surfaces. Toughness describes the material's ability to absorb energy before breaking, while hardness (commonly measured as indentation hardness) describes its resistance to permanent surface deformation. Formability indicates how easily the material can be permanently shaped. Machinability describes how easily it can be cut, shaped, finished, or otherwise machined. The 260 brass round shim has an unpolished (mill) surface, meets American Society for Testing and Materials International ASTM B36 specifications, and has a standard tolerance. The 260 brass alloy has good corrosion resistance and strength. It is nonmagnetic. Precision Brand Shim Stock is widely used in the following applications: tool and die set up; alignment; new machine assembly; machine repair and maintenance; mounting of motors, pumps and other machines; short run and prototype work; along with a variety of other industrial uses. It is especially useful for pilot production runs where material accuracy and economy are important. All Precision Brand shim products are manufactured under rigorous quality control standards to assure high accuracy and tight tolerances. 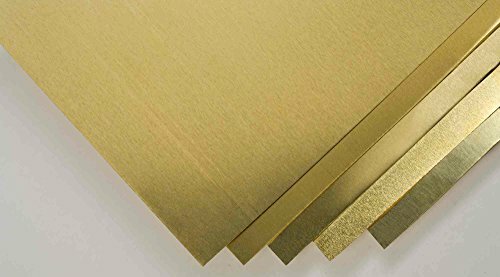 The 260 brass shim stock with 1/2 hard temper has an unpolished (mill) surface and a standard tolerance, and meets American Society for Testing and Materials International ASTM B19 and B36 specifications. The 260 brass alloy is corrosion resistant and has good formability. It is nonmagnetic. The 1/2 hard temper is softer than 3/4 hard temper for increased formability. Concealed mounting. Easy to install. This product is manufactured in Taiwan. This product is made of high quality material. 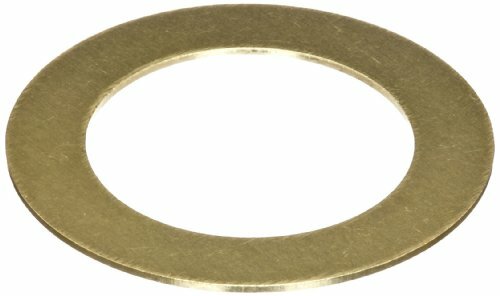 The 260 brass round shim with 0.010" thickness, 7/8" ID, and 1-3/8" OD has an unpolished (mill) finish and meets American Society for Testing and Materials International ASTM B36 specifications. The 260 brass alloy has good corrosion resistance and strength. It is nonmagnetic. 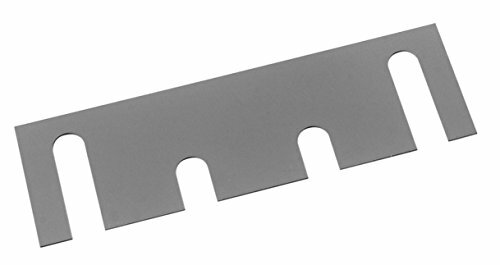 The shim has a thickness tolerance of + or - 0.0013". 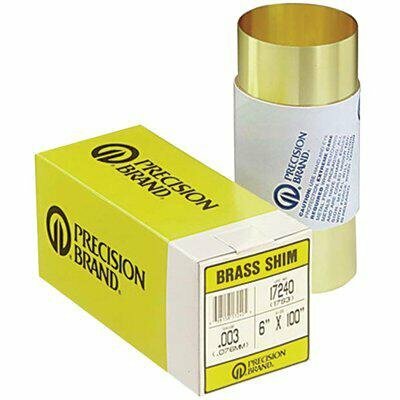 Brass Shim Stock Rolls - 17s9 .009 brass shimstock 6"x100"
605-17390 Features: -Half hard, cold rolled, CDA 260 alloy. -Material: Brass. -Hardness: 56.0 Rb [Min], 68.0 Rb [Max]. -Tensile Strength: 57000 psi [Min], 67000 psi [Max]. Product Type: -Flathead. Dimensions: Overall Product Weight: -1.8 Pounds.